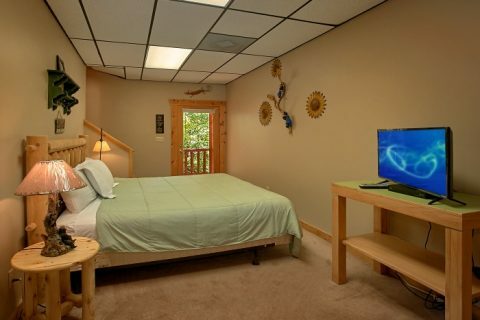 For an excellent Gatlinburg vacation, simply book "BlueBaery Hill." 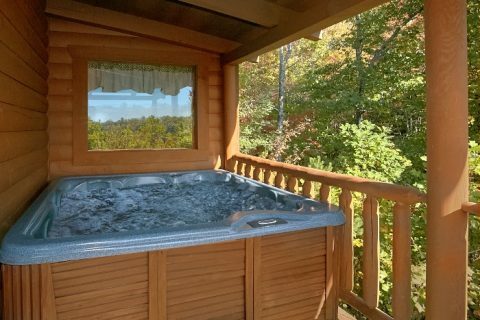 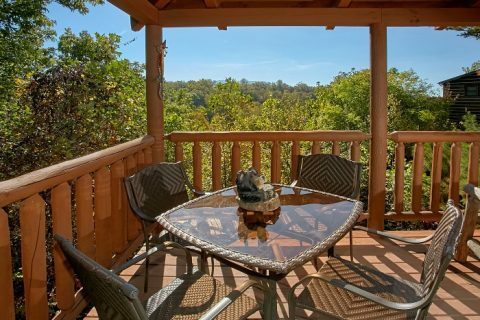 This 3-bedroom Smoky Mountains cabin rental rests between Pigeon Forge and Gatlinburg in Sky Harbor Resort. 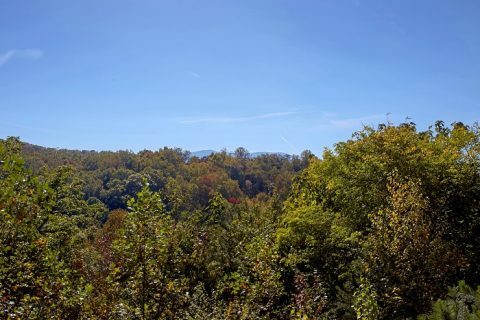 This beautiful part of the Smokies is convenient for reaching the national park, Ripley's Aquarium, Ober Gatlinburg Ski Resort, Dollywood, shopping, dining and more! 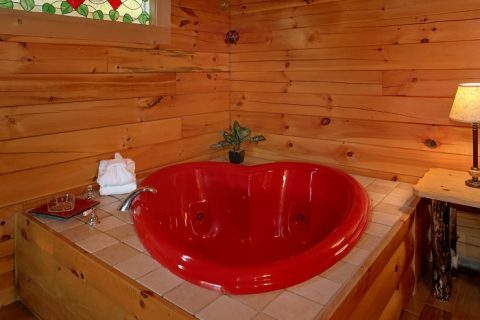 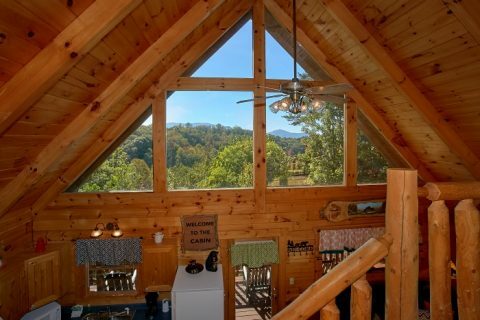 This Gatlinburg cabin has several features that are bound to make your Smoky Mountain vacation even more comfortable and enjoyable. 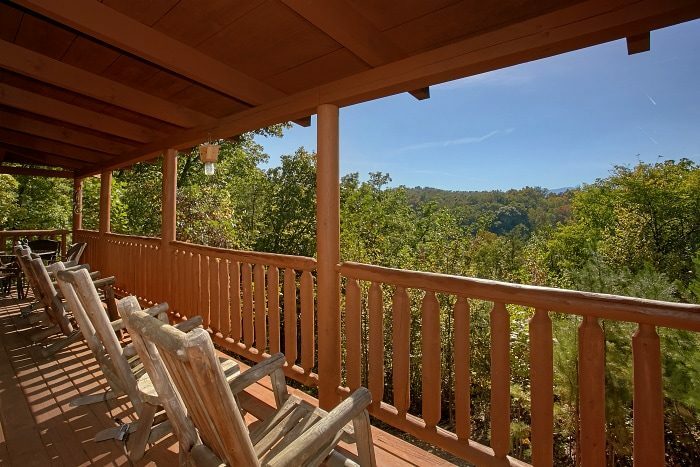 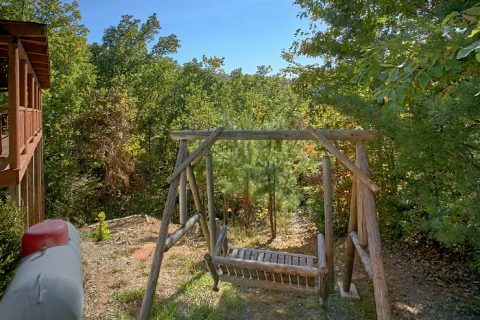 This rental features an excellent mountain view and a walking trail on the property that makes this cabin a great fit for anyone who loves the outdoors. 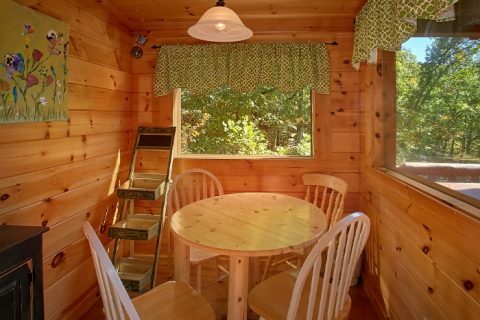 For families with small children, this rental comes complete with a high chair and a bassinet for especially young guests. 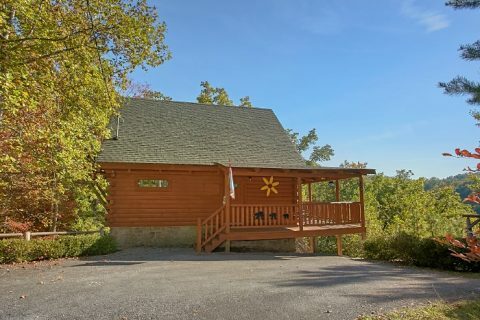 This great family vacation cabin rental offers families a cabin with all the amenities you'd want in a home away from home. 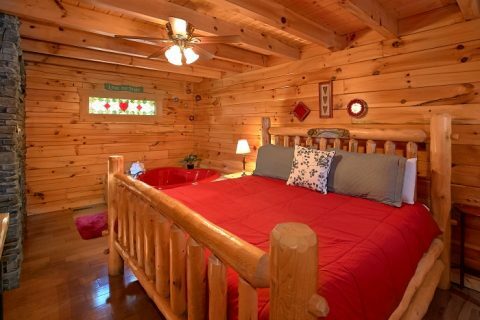 This spacious cabin boasts 3 bedrooms, each with king bed, and a futon to sleep up to 8 guests in comfort. 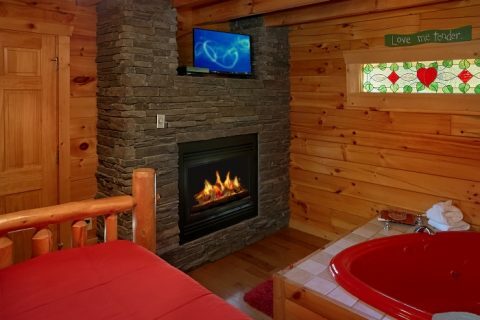 For enjoying romance on your vacation, this cabin offers a master suite that boasts a 2-person heart-shaped jacuzzi and a handsome stacked stone fireplace. 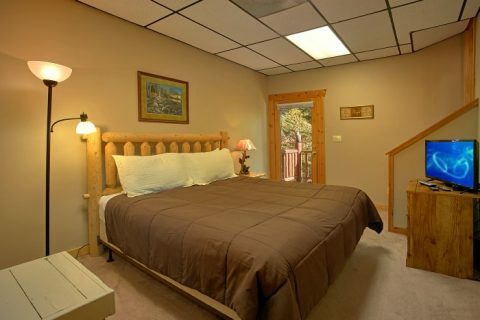 Flat-screen televisions are available in every bedroom. 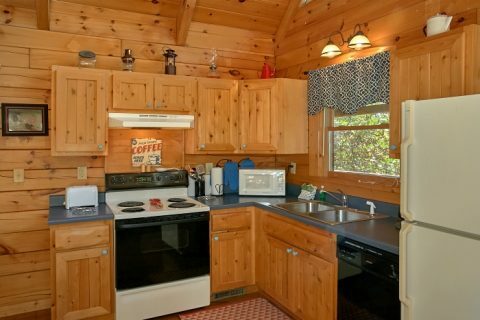 The corner kitchen and charcoal grill offer the chance to enjoy quality family time around the dining table. 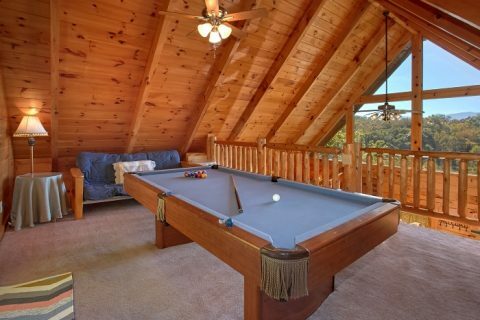 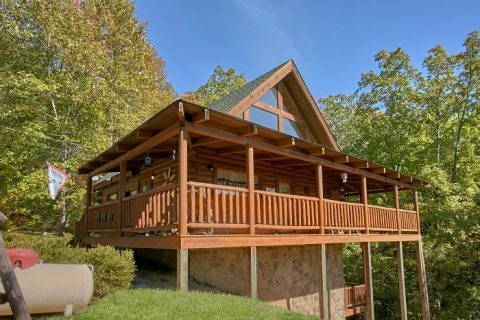 This Smoky Mountains cabin rental also offers a pool table in the game room loft for indoor cabin entertainment. 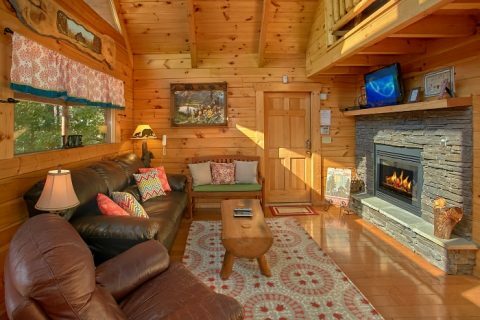 Enjoy one of your most memorable family cabin vacations yet! 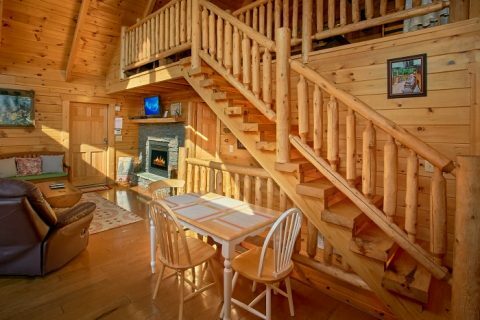 Book "BlueBaery Hill" online with Cabins USA Gatlinburg for immediate savings on your Smoky Mountains cabin rental!